For those of us on a path of growth, we can have moments that bring us face to face with our inner impatience. 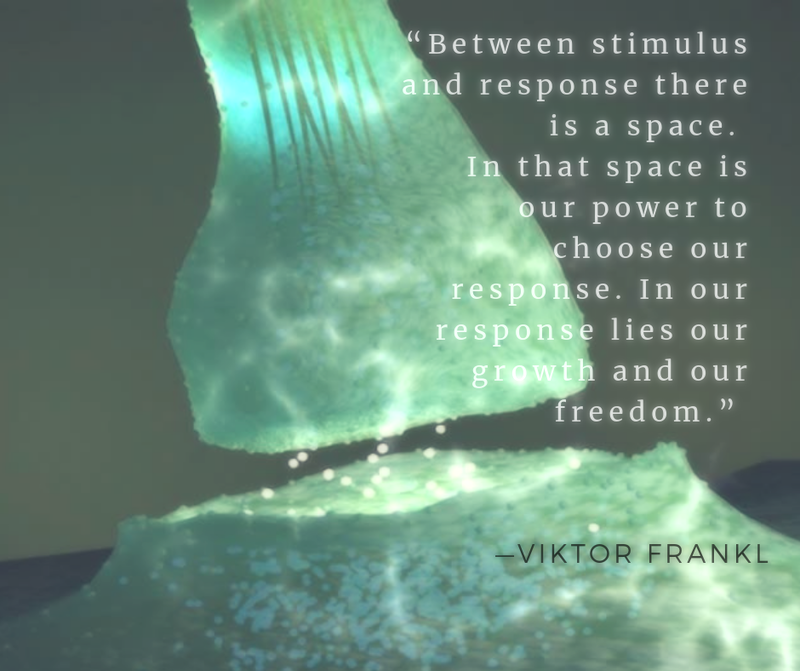 Today I want to invite you to slow down, to check in and engage choice mindfully in your becoming process. I know this dance quite well. The seeker archetype is on a pursuit of new information, new knowledge & experiences in the hopes that we’ll find what we’re most hungry for. Are we AWARE of what we’re actually pursuing? To be heading on a journey to X, when what we’re actually after is Y, creates confusion, disappointment and deep frustration. What is MOST important for me to apply, TODAY from all that I’m learning? If I arrived at my “destination today”, what would feel & look different? What is my North Star here? Be curious with your impatience. Impatience might be an invitation for lots of different things. In the shadow, fear might have us grasping, running, trying to get it faster and quicker. To get to the front of the line. To figure it all out so then we can fully relax. In the light it could be inviting us to move. To take action. To step out beyond reflection & contemplation as a stillness practice to one where it is an in-motion process. The challenge this awakens for us as leaders, is the skill of discernment. 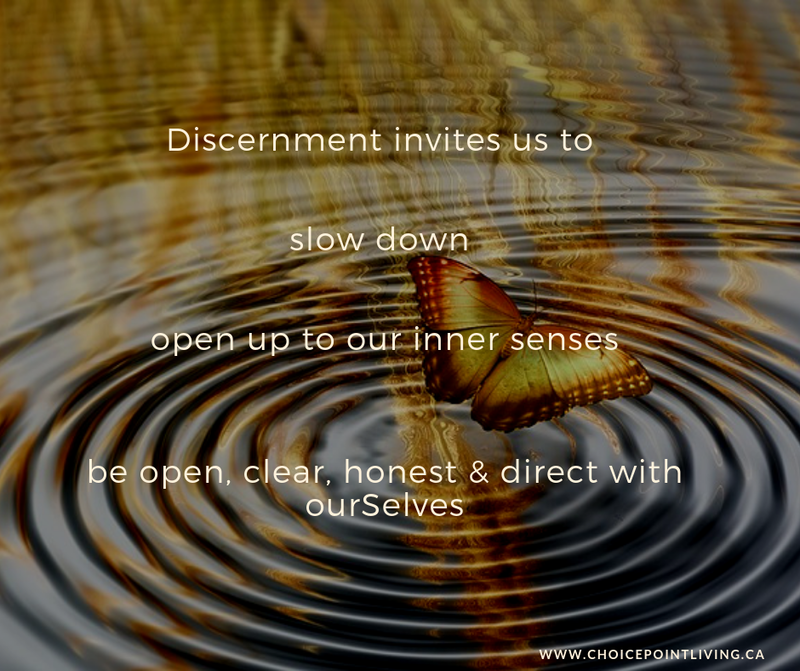 A few synonyms that help to illustrate the context of discernment in this post are: insight, perception & wisdom. Ah ha moments may offer an insight in the moment, however, do they actually influence your choices & ultimately shift your experience? When we feel like we’re in a fog, not sure where to go next, challenged by a person, situation or circumstance, our habitual nature might push us to move forward. To leap too soon. To shut the door too quick. To throw the proverbial baby out with the bathwater. How do we develop the capacity to discern when our inner impatience is calling us to move forward or inviting us slide backwards ? How is speeding up going to serve this moment? If you’re finding yourself moving from one personal growth experience to the next and wondering, why isn’t anything changing? Then, you may be inviting yourSelf to slow down. Beyond time, the greatest space & place to slow down is the present moment. In fact, some would argue it truly is the only place where change can take root. If we’re not slowing down in moments of impatience to even be curious about the sensations we’re feeling & choosing to attend mindfully to the present circumstances, we’re probably skating over a great choice point of alchemy. The choice point that offers the opportunity for roots to actually take root. Instead we’re probably skating over the ice of our growth process, hurrying to get to the next lesson, only haven failed to fully embody the one we’re in. This is an art, not a science. Although science would offer that it is in the questions (not the answers) that new possibilities can be discovered. In essence science is a research based philosophy. Great discoveries come from deep inquires, experimentation, reflections and integration of applicability. Integration in learning is a vast subject I feel we’re all faced with today. The volume of information available to us is off the charts. Having more information doesn’t create sustainable change, integration does. Some synonyms of integration are synthesis, union, fruition. I also view digestion as a very strong correlative process of integration. It can feel like we have a lead balloon in our stomach when we shove down food and move from one thing to the next. I know this well! I have lived much of my life in this dance of the illusionary myth of multi-tasking all processes of life. Learning included. I have a propensity for fast digestion and yet I am coming to have deep reverence for the power of slowing mySelf down. Being willing for integration & absorption to occur. How is impatience showing up for you? What wisdom is seeking to take root? What inner narratives do you hold that prevent you from slowing down?